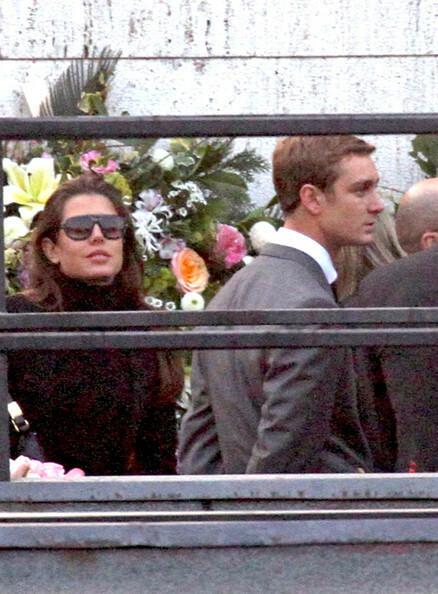 Laura Sabatini Casiraghi's Burial Survices . The Casiraghi family attend the burial services of Caroline, Princess of Hanover's aunt Laura Sabatini Casiraghi who was buried in the family tomb.. Wallpaper and background images in the princess charlotte Casiraghi club tagged: casiraghi family charlotte princess. The Casiraghi family attend the burial services of Caroline, Princess of Hanover's aunt Laura Sabatini Casiraghi who was buried in the family tomb. This princess charlotte Casiraghi photo contains business suit. There might also be revolving door and revolver.